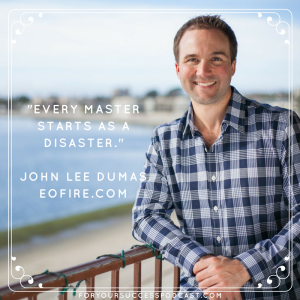 In today's interview with John Lee Dumas, you'll hear from someone who burst onto the internet scene in 2012 with his podcast EOFire; a podcast that he continues to release 7 days a week. You heard me right – 7 days a week. 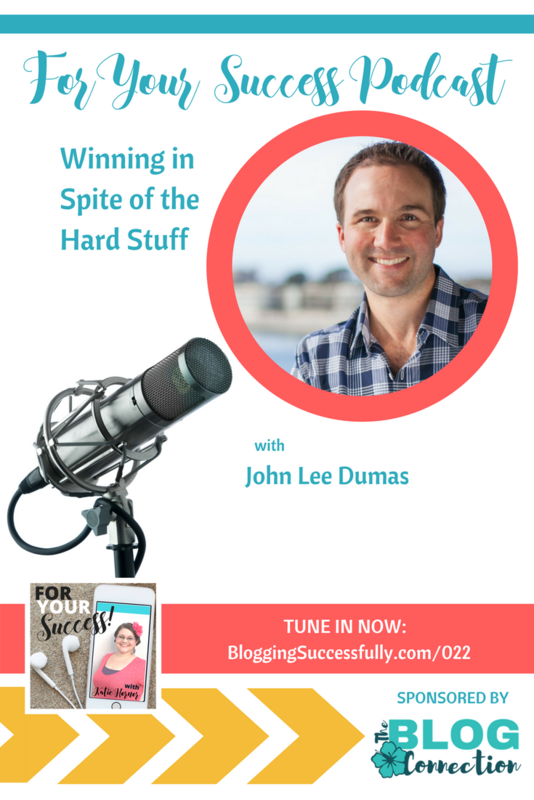 John is a published author, professional interviewer, and currently runs his multi-million dollar business from Puerto Rico…where the internet is faster than in San Diego. But he didn't start out this way. John’s curiosity for why nobody was putting out a 7-day a week podcast led him to create one. But he had zero knowledge on the subject, so he looked for a mentor; someone who was a successful podcaster that could guide him through the process. He hired someone to coach him through the entire launch process. I’d rather live a life of ‘oh wells’ than a life of ‘what-ifs'. He was willing to risk failure rather than the regret of never having started. 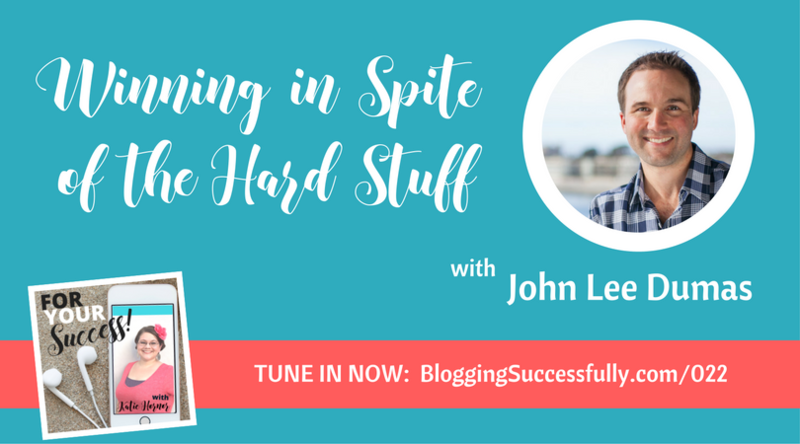 John says the hardest thing he ever did in his business was pressing the launch button on the podcast. John was struggling with impostor syndrome; feeling like nobody could get value from what he was doing, full of fears and doubts that nobody would even care. And the truth is, nobody might care…at first. But John feels strongly that if you continue to offer tons of free and valuable content to your audience, no matter how small it is, you will grow and the audience will grow. Trust will grow between you and your audience, and they will tell you what they are struggling with. Once they begin to confide in you their struggles, you can begin to provide solutions through content, products, communities, etc. That’s how your business grows. 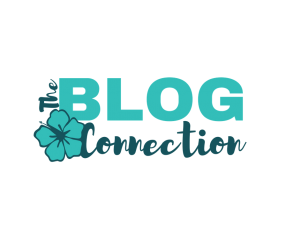 After delivering free, valuable content to your audience, there is going to come the time when you need to start making money with your business. Again, John faced fear here. He was almost embarrassed to ask people to buy something. He was asking himself the same questions he had asked when he launched the podcast. And again, he had to push through the fear and do it. Winning in spite of the hard stuff. 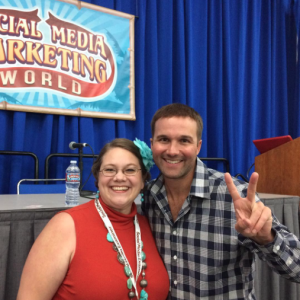 When creating products, John suggests laying down tracks that you will continue to run on when creating more products. Having systems in place helps make the process quicker and less painful the next go round. Surround yourself with supportive people that are going through similar struggles. Get a mentor who is where you want to be in future. They’ve already been there where you currently are and can guide you through the next steps. The freedom to what I want to do in today. I no longer have to listen to a boss…I am free to follow the life and the passion that excites me most. Really enjoyed rockin the mic with you Katie! You are ON FIRE! Thanks so much, John. It was a pleasure.